Although I can’t give a complete theory of what makes a novel unappealing, I do know that Wood’s description of 03 has many elements I might include: very little probably happens in terms of narrative, if the story occurs chiefly a bus stop. A whole book composed of a “monologue” sounds unappealing: the dialogic aspects, to use Bakhtin’s conception, of novels makes them fun and gives their stories urgency as people’s desires collide. I want plot. And “one unbroken paragraph” reads to me suspiciously like a gimmick, and, beyond seeming like a gimmick, this would make the book hard to read. 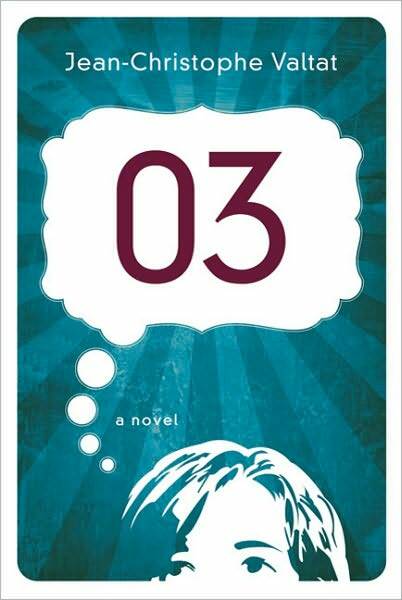 The title, 03, also has the whiff of a gimmick or of existentialism. The short description Wood offers tells me one major thing: I don’t want to read this book. I would much rather read Wood writing about this book than the book itself; he offers insights that are probably more important, in this case, than the work he’s writing about, which is never a good sign for a novel. Various writers have raised the rally cry against writers who engage in confusing postmodern game playing for its own sake: this, more or less, describes B.R. Myers’ A Reader’s Manifesto, Tom Wolfe’s “Stalking the Billion-Footed Beast“, Lev Grossman’s “Good Books Don’t Have to Be Hard,” and, most recently, Justin Peacock’s “The New Social Novel,” which actually isn’t new, but I’m willing to spot him the adjective in this case. Although I wouldn’t endorse everything every writer says in each of these essays, I do think they point towards a general idea: give us novels of substance, although we don’t always know what we mean by novels of substance and can’t necessarily define them. I’m guessing 03 isn’t one, however.